The award winning “Drive@Best” e-lesson, developed by Driving Dynamics for one of its global fleet clients, addresses common personal challenges drivers face that may affect the mind and body in such a way that safe driving capabilities are not at peak levels. Newark, Delaware – Driving Dynamics Inc. announced today it has been named as a 2016 award recipient in the twenty-eighth annual Awards for Publication Excellence competition. The award, presented in the Education & Training category, was for the custom “Drive@Best” e-lesson developed for a Driving Dynamics’ global fleet client. 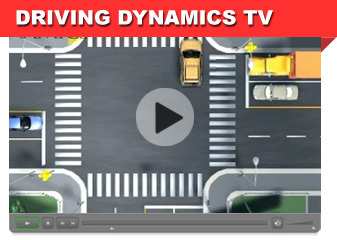 Produced in more than 20 different languages and accessible through desktop and mobile devices, this e-lesson targets the mind and body connection to driving. It explores common personal challenges drivers face which may affect the mind and body in such a way as to prevent safe driving capabilities from being at peak performance levels. Factors such as emotional distress, fatigue, poor nutrition, willingness to accept additional risk and change in health status are among some of the concepts covered. To further engage learners, an interactive board game was built in as a key deliverable of the lesson. Its components were inspired by classic games that have remained relevant across decades and generations and crossed international boundaries. 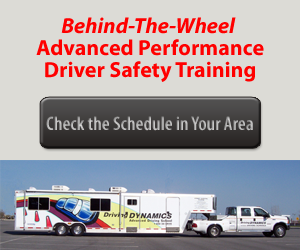 “Our client’s fleet safety experts challenged our development team to bring a new and exciting aspect to their e-lesson experience, one which could be easily implemented and communicated across varied groups. Our recommendation to gamify the lesson by leveraging the essence of classic board games was highly received by our client’s leadership and delivered to tens of thousands of learners across the globe,” said Art Liggio Driving Dynamics president. The APEX Awards for Publication Excellence is an international annual competition for publishers, editors, writers and designers who create print, Web, electronic and social media. APEX is sponsored by the editors of Writer’s Web Watch, published by Communications Concepts, Inc., an e-newsletter for communicators who write, edit and manage business publications. Awards are based on excellence in graphic design, editorial content and the success of the entry—in the opinion of the judges—in achieving overall communications effectiveness and excellence.